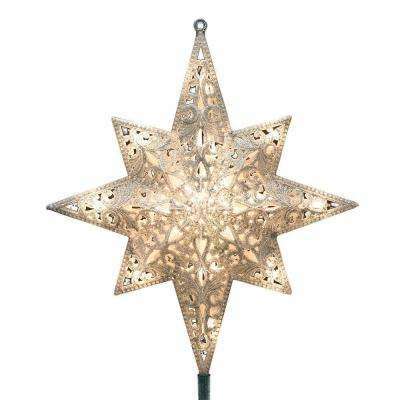 It’s time to hang a shining star (or an angel) upon the highest bough. Make your Christmas tree dazzle from top to bottom with the finishing touch of a tasteful Christmas tree topper. Bring a little magic and style to the holiday with these popular choices. • Angels. Opt for elegance and tradition. An angel tree topper is an age-old choice. Today’s angels come in ornate designs, with gowns in rich reds and golds. Select one that is well crafted—it could become a family heirloom. • Stars. 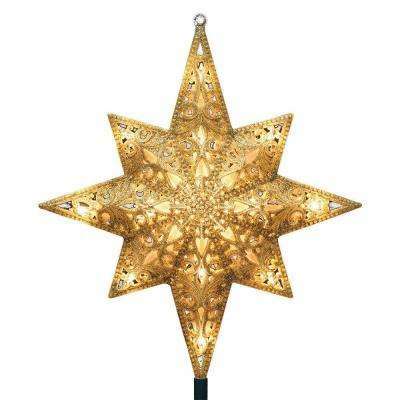 A bright, cheerful star tree topper catches the eye and exudes magic and wonder. It matches any look, whether your tree is a polished piece of holiday art or it’s filled with homemade Christmas ornaments. 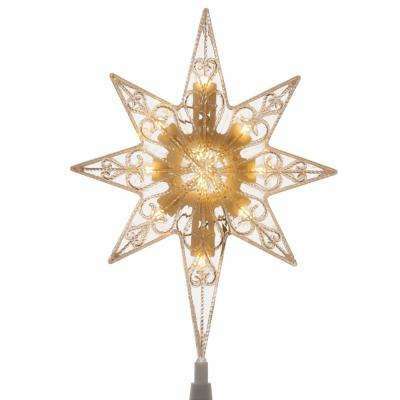 Choose a simple gold Christmas tree star for a chic look. Or add some shine and playfulness with lighted tree topper. LED options allow you to use less energy while your room is illuminated. • Bows, ribbons and snowflakes. Add a touch of winter’s beauty with a glowing snowflake tree topper perched on the highest branch. Or pair a bow or ribbon topper with your Christmas garland and lights to tie the whole look together. Many of these options come in lighted versions. Choose a cordless one with LED lights—they’re easy to use and will make your tree merry and bright. Make sure your new Christmas tree topper will fit. Measure your live or artificial Christmas tree to know exactly how much room you will have between the topper and ceiling—at least 5 inches of clearance is recommended. Trim the top of the tree if needed. Pipe cleaners and zip fasteners will help you add extra support and securely fasten a topper to the branches of your tree. Pack your tree topper carefully away at the end of the season, and enjoy your new holiday tradition for years to come.